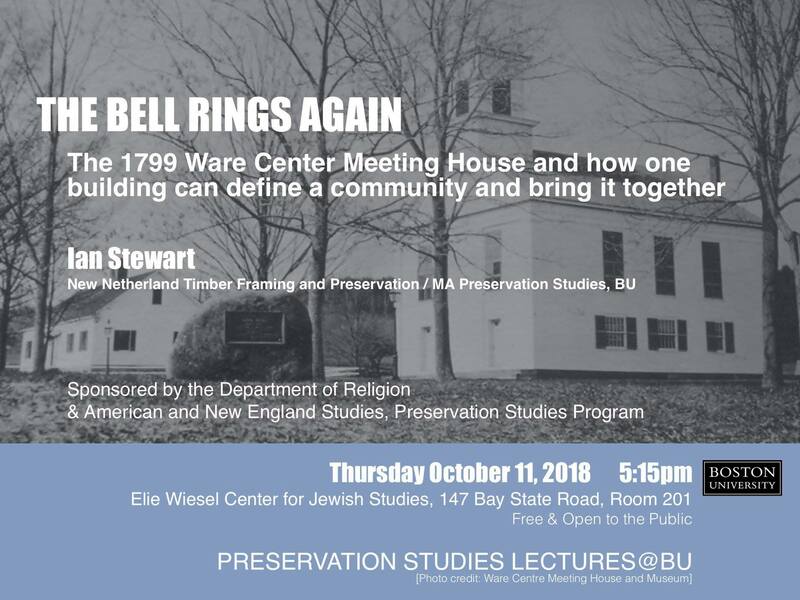 The Bell Rings Again: The 1799 Ware Center Meeting House and how one building can define a community and bring it together. Ian Stewart, a graduate of the Boston University Preservation Studies Program, presents a program on the Ware Center Meeting House. The presentation is free and open to the public.